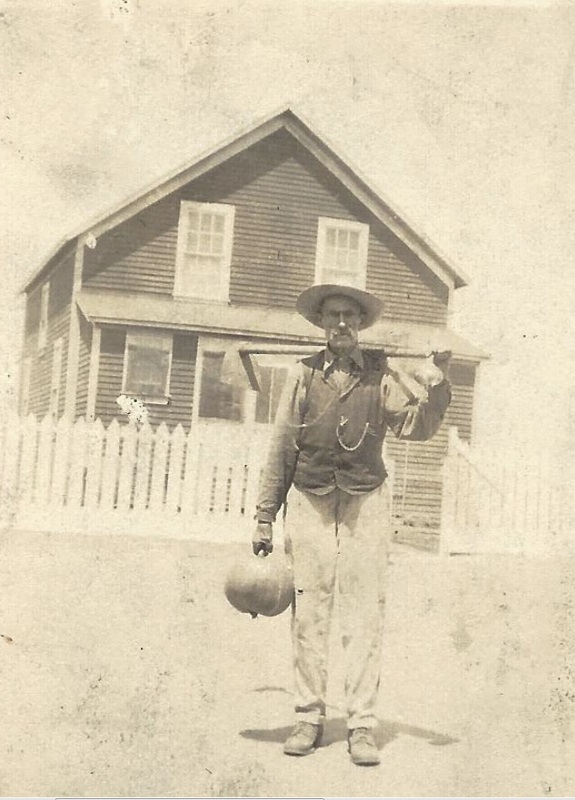 This is week 6 of 52 Ancestors in 52 Weeks. The theme is So Far Away. I decided to write about my great great grandfather, Jozimas de Braga, who had the longest migration of them all. I should note that my great grandmother, Maria (de Braga) Pacheco Smith, his daughter, also had a similar migration path. His migration may be more remarkable. Whereas Maria was a child when she first left her village, Jozimas was 33 years old. When I think about my Azorean ancestors and the journey they took from their homeland to Hawaii and then to California, I am in awe. These are people who spent their entire lives on Sao Miguel Island in the Azores. In fact, they most likely spent most of their time in one village. Their ancestors were from those same villages. 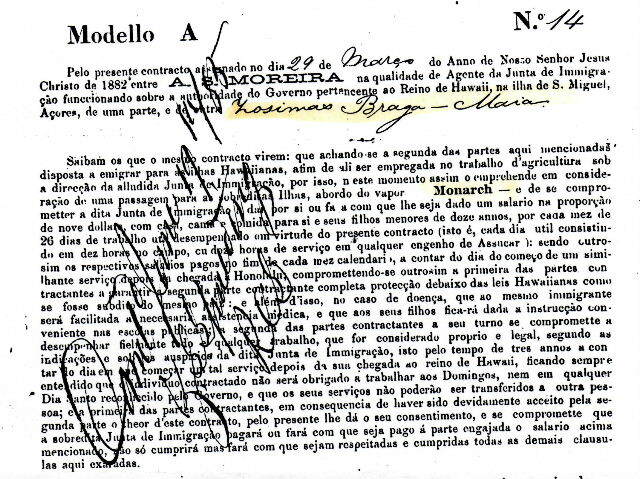 My great great grandfather, Jozimas de Braga, has roots in the village of Maia going back to the 1600s. His wife, Maria da Conceicao de Mello, has ancestors who were married in Maia in 1590. It must have taken tremendous courage for them to sign those sugar plantation contracts in 1882 and get on that ship with three small children in tow. Even harder to leave one of their children behind “just in case”. This is a snippet of his sugar plantation contract signed in 1882 and completed in 1885. Hawaii was some mythological place many miles away. They had to travel around South America up to San Francisco and then to Honolulu just to get there. This wasn’t the only migration that Jozimas de Braga made. His wife died in 1902 and he never remarried. He had spent almost 25 years on Kauai. He made a good life for himself. Yet, when his son-in-law needed to escape Hawaii to avoid deportation (he had leprosy), Jozimas packed up his belongings and migrated once again. It is said the ship they were smuggled upon went to Japan first. Then, it made it’s way to San Francisco. Jozimas and his daughter’s family got off the ship and headed for Oakland, CA. I don’t believe the side trip to Japan. All I know is Jozimas arrived in San Francisco in May 1907 on the SS Mongolia. Thanks to my Bonita cousins we have this one photograph of Jozimas. It was taken in Chular, Monterey Co., CA about 1915. That wasn’t the last time he picked up roots. In 1914, he headed with his daughter and her family to Spreckels, CA. She was recently widowed. Perhaps she needed a change of scenery or needed to be closer to her family. It may just be that she had three teenage sons and a seven year old to take care of and the work which was plentiful on the Spreckels Sugar Beet Farm. Jozimas returned to Oakland sometime after the 1920 census 1920. He moved back to Oakland and died in 1922. Jozimas, who had spent his first 33 years in one village made not only one migration, but three. He crossed the Atlantic, the Pacific, and then Pacific again. He went from the Azores to Hawaii to California. He then went from Oakland to Spreckels and back to Oakland. He restarted his life multiple times. I can’t imagine what that must have been like to pick up roots like that. Hawaii was so far away. Then, to live there for over two decades and leave again, it must have taken tremendous inner strength. I’m fairly sure the first migration was by choice. The second, I’m not so sure. I’d like to think that his bond with his children who left Hawaii for California was so strong that he decided to be with the family in his later years. I guess I will never know. 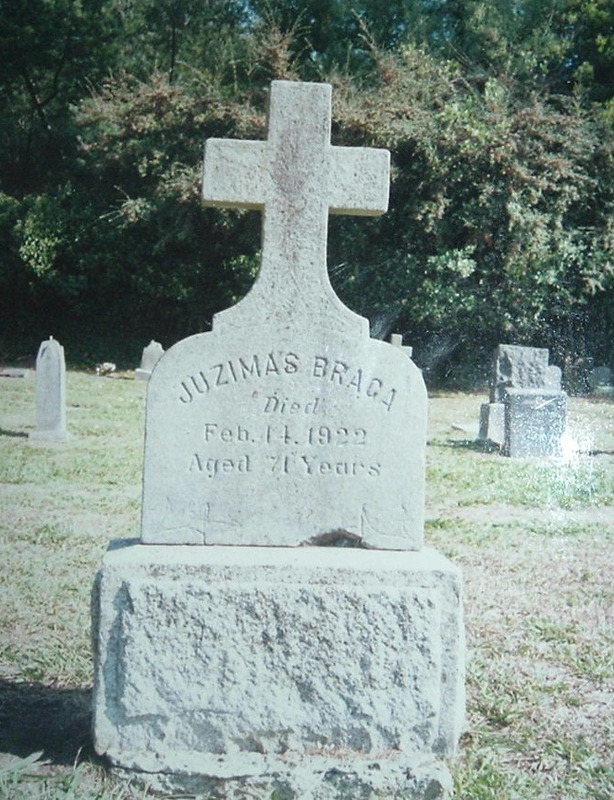 This is Jozimas de Braga’s tombstone at St. Mary’s Cemetery, Oakland, Alameda Co., CA. He is buried with his granddaughter, Sophie (Bonita) Guido.